In the Recovery and Winch industry it’s essential to have top of the range lifting slings, be they Chain Slings, Wire Rope Slings or Web Slings. Sometimes these are referred to as Chain Sling Lifting Brothers, Wire Rope Sling Lifting Brothers or Web Sling Lifting Brothers. 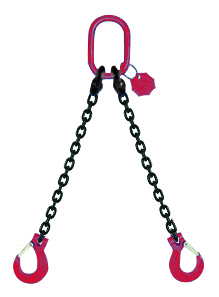 At Chain & Rope Suppliers Ltd Dublin we manufacture a complete range of Lifting Slings and Lifting Brothers. As requirements can vary we offer a choice of end fittings, dimensions and lengths to suit almost every situation. Included on Chain Slings, Wire Rope Slings and Web Slings we can fit safety hooks, grab hooks, sling hooks, eye hooks, solid thimble eyes, hard eyes, soft eyes, master ring ends, reinforced eyes. 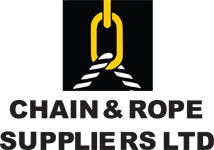 Chain & Rope Suppliers Ltd Dublin differ from most other suppliers in that all our Chain Slings, Wire Rope Slings and Web Slings are fully tested, stamped and certified to the appropriate EN: Standards. Unlike Winching, lifting in a recovery situation is a completely different task and requires due care and attention to detail so as to avoid even a minor incident. All personnel using chain slings, wire rope slings, web slings or lifting equipment must be trained and competent in the safe use of lifting gear.